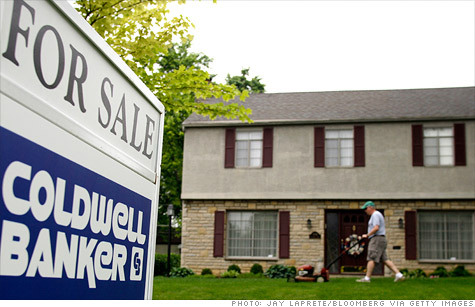 NEW YORK (CNNMoney) -- Buying a home may never get any cheaper than this. Several housing experts are predicting that this year will be the last chance for bargain hunters to cash in on the best deals of the weak housing market. A number of factors will help bolster the housing market, he said, including a decline in the number of foreclosures and continued job growth. In addition, homebuyers will have better access to mortgages as they get their finances in order and improve their credit scores. Hoffman, for example, is forecasting a 2% increase in 2013 compared with 2012. Meanwhile David Stiff, chief economist for Fiserv, predicts that prices will turn in the last quarter of 2012 and will rise 4.2% for the 12 months through September 2013. Many of the bank-owned properties currently coming out of the foreclosure pipeline are being snapped up by investors who are fixing them up and renting them out -- often to those who were displaced by the foreclosure of their own home. That has helped to lift prices on foreclosed properties, according to Alex Villacorte, the director of analytics for Clear Capital, which specializes in housing market valuations. "People can now see the light at the end of the tunnel," he said. "And that can be enough to get them off the fence."